Cycle designed this off-the-grid farmhouse for a farmer in the Kavre district of Nepal. The structure is made of rammed earth comprised of nearby soil and river rock from an adjacent stream. The rammed earth walls operate as passive thermal assemblies, absorbing heat during the day and keeping the interior cool, while naturally emitting the heat during the evening hours when temperatures in the region drop drastically due to high altitude. Solar hot water and energy provide the farmer with reliable utilities and modern amenities, while an on-site anerobic digester processes all human waste with an end-product that can be used to aid in the irrigation of the farmer's crops. 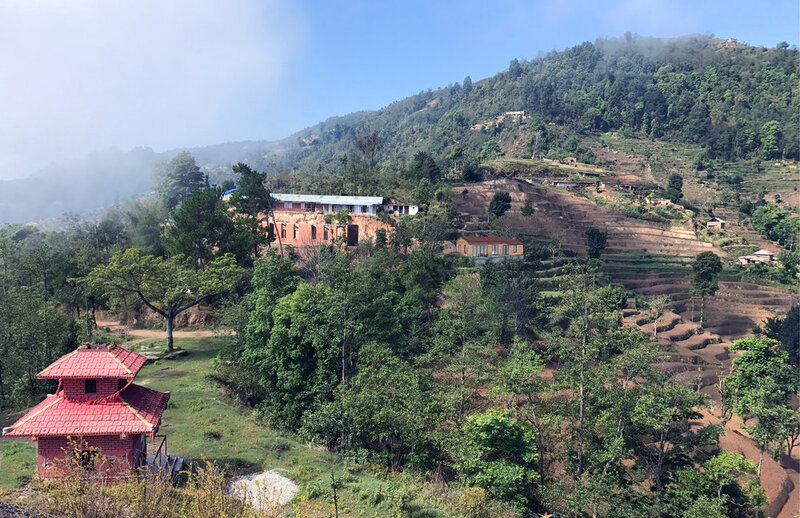 The project is currently being constructed by Rammed Earth Solutions, a Nepalese partner of Cycle's that specializes in rammed earth construction throughout the Kathmandu region.